Monique Retamal is a Research Principal at the Institute for Sustainable Futures, with ten years’ experience in urban sustainability research. She recently completed an interdisciplinary PhD at ANU regarding the prospects for emerging business models such as the sharing economy and collaborative consumption to contribute to sustainable consumption goals in Southeast Asia. 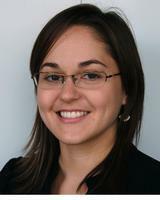 Prior to her PhD studies, Monique specialised in urban water and sanitation planning for sustainability, both in Australia and overseas. She holds a 1st class honours degree in Environmental Engineering, a Masters in Water Resources and a Graduate Certificate in Political Economy. Monique has a keen interest in the development of policies and programs to foster sustainable lifestyles. © 2017, Yale University. Summary: Changing lifestyles in developing and emerging economies entail a shift in technology use, everyday practices, and resource consumption. It is important to understand the sustainability consequences of these changes and the potential for policy to guide practices toward more sustainable lifestyles. In this study, we investigate laundry practices in the City of Manila, the Philippines, and compare the resources consumed in three different modes of laundering. We examine (1) traditional washing by hand, (2) washing by machine at home, and (3) using a laundry service. In addition to comparing the consumption of water, energy, and detergents, we also examine the social aspects of laundering using the lens of social practice theory. We use empirical data gathered in interviews with laundry service operators and people laundering at home to undertake qualitative and quantitative analyses of laundry practices and resource consumption. We find that hand washing uses the least water and energy, but large quantities of detergents. Machine washing and laundry services are comparable for water consumption, but energy use is much higher for services as they use dryers. Social changes, such as an increase in work available for women and the nature of future housing, are likely to influence the dominance of either shared or individual laundering methods. These findings illustrate the social complexity of transitions to product-service systems and the interdependencies between their social and environmental impacts. © 2016 Product-service system (PSS) business models are now more widely used for business to consumer exchanges due to the popularity of the 'sharing economy' or 'collaborative consumption'. While there are claims that PSS offer more sustainable consumption alternatives, there is a shortage of literature regarding PSS business practices and the factors that may influence their environmental performance. In addition, few studies have investigated PSS in emerging economies. In this paper, we examine PSS business practices in relation to environmental sustainability for twenty businesses in Hanoi, Manila and Bangkok. Our aim is to understand business practices in this emerging economy context, and to determine the factors that enable or inhibit PSS businesses from achieving environmentally sustainable outcomes. We identified six sustainability criteria from the literature as the basis for analysing business practices: 1) using durable, quality goods; 2) intensifying use of goods; 3) enabling repair, take back and recycling of goods; 4) ensuring rental replaces purchase; 5) minimising transport and disposable packaging of goods; and for transport – 6) reducing private vehicle kilometres travelled. Through qualitative analysis of interviews we found that business participants generally performed well in criteria 1–2, but performance across the remaining criteria depended on the context such as: market conditions, public infrastructure, housing form, customer behaviour and the nature of the product. Our findings highlight the need for policy interventions to facilitate more sustainable outcomes, including: guidelines and green accreditation; planning regulations/incentives to provide space for PSS businesses; and policies to encourage multiple passengers for transport sharing. Much can be learned from the numerous water recycling schemes currently in operation in Australia, especially with respect to making investment decisions based on uncertain assumptions. This paper illustrates through a number of case studies, that by considering the contextual and project related risks, a range of business related risks become apparent. Shifts in the contextual landscape and the various players' objectives can occur over the life of a project, often leading to unforeseen risk and uncertainty. Through a thorough consideration of the potential risks presented in this paper, proponents as well as owners and managers might make better recycled water investment decisions, enhancing the benefits and minimizing the costs of water recycling schemes. This paper presents an overview and discussion of seven key factors to consider when planning a recycling scheme. The City of Sydney is working to realise its vision to be a GREEN, GLOBAL and CONNECTED city, a vision articulated in their strategy Sustainable Sydney 2030 by undertaking a bold and ambitious project. The project will showcase how inner suburban areas can be retro?tted with innovative water systems to achieve integrated, resilient and sustainable water cycle outcomes. The baselining process is a major step in the development of a suite of plans that constitute the Decentralised Water Master Plan, including: a Water Ef?ciency Plan, a Stormwater Infrastructure Improvement Plan, a Water Sensitive Urban Design Plan and a Decentralised Non-Potable Water Network Plan. Signi?cant community consultation is being undertaken to ensure the community and stakeholders have opportunities to input into the project. The ?nal plan will not be a ?xed document but will be an evolving document to take into account changing contexts and additional data as it becomes available. Drought and concern over climate change has led to the increased use of distributed water systems in Australia to supplement centralised supply systems. A literature review carried out by the Institute for Sustainable Futures (ISF) into the energy consumption of water infrastructure found that very little data on energy consumption exists, particularly for distributed systems. This paper reviews the findings of the literature review and presents results from a preliminary monitoring study on the energy implications of household rainwater systems. Typical household systems that are currently being installed in houses cross Australia use approximately 1.5 kWh/kL. Turner, A, Fyfe, J, Retamal, M, White, S & Coates, A 2010, 'SEQ's one to one water savings program', Water, vol. 37, no. 1, pp. 82-91. This paper provides an overview of the innovative One to One Water Savings Program implemented in the South East Queensland (SEQ) region of Australia in 2007. The program aimed to assist households classified as high water users (HWUs) to reduce their water demand during the worst drought on record. The program consisted of sending out a survey to over 79,000 HWUs using more than 800 L/household/day (L/hh/d) and for those that completed the survey, a personalised plan was provided on how to save water. The program had a unique combination of: a very large sample size (over 70,000 respondents); access to individual customer water meter readings; and availability of detailed household survey responses on water using practices. Due to this unique combination it was possible to investigate the suite of reasons why HWUs have above average water consumption. It was also possible to analyse how HWUs could save water to inform future water saving policy initiatives. The analysis outlined in this paper draws on an extremely important water usage dataset, of a size that has never been collated and analysed before in Australia. The research is of significant importance at a regional, national and international level and will be of significant interest to those water resource managers facing a drought situation and those involved in water forecasting and demand management interested in understanding how water is being used and could be saved. The energy intensities of a range of household rainwater systems were monitored in Sydney and Newcastle as part of a study carried out by the Institute for Sustainable Futures (ISF) in collaboration with the Australian Commonwealth Scientific Investigation and Research Organisation (CSIRO). The study found that the energy intensity of these rainwater systems varied depending on system configuration, rainwater end uses and the water efficiency of the household. Preliminary results indicate that the energy intensity varies between 0.9 and4.9 kWh/kL with a 'typical' household rainwater system using approximately 1.5 kWh to deliver each kilo litre of rainwater. Retamal, M, Turner, A & White, S 2009, 'Energy implications of household rainwater systems', Water, vol. 36, no. 8, pp. 70-75. The energy intensities of a range of household rainwater systems were monitored in Sydney and Newcastle as part of a study carried out by the Institute for Sustainable Futures (ISF) in collaboration with the Australian Commonwealth Scientific Investigation and Research Organisation (CSIRO). The study found that the energy intensity of these rainwater systems varied depending on system configuration, rainwater end uses and the water efficiency of the household. Preliminary results indicate that the energy intensity varies between 0.9 and 4.9 kWh/kL with a 'typical' household rainwater system using approximately 1.5 kWh to deliver each kilolitre of rainwater. Retamal, M.L. & White, S. 2008, 'Designing for zero net potable water use: a case of urban renewal in Sydney, Australia', Sustainable Water Management: concepts towards a zero outflow municipality, vol. 3. ABSTRACT: Recycled water has increasingly been considered as a means to deal with water supply-demand imbalances, treated wastewater disposal and stormwater management. It contributes to the sustainability of urban water systems and the regeneration of the urban landscape. However, recycled water schemes are not mainstream, and are often confronted with numerous challenges. By considering the contextual and project related risks associated with a diverse selection of recycling projects in Australia, a range of business related risks have become apparent. There is now evidence that shifts in both the contextual landscape and the objectives of the various players involved can occur over the life of a project, resulting in risk and uncertainty often not foreseen. Many guidelines on recycling have been produced which focus mainly on technical risk. Drawing on the experiences of a diverse selection of case studies in Australia, this paper contemplates the additional risks and uncertainties, often not initially considered at the inception of a recycling scheme. This paper presents an overview and discussion of six key issues to consider when planning a recycling scheme. White, S., Retamal, M.L., AbuZeid, K.M., Elrawady, M.H. & Turner, A.J. 2011, 'Integrated resource planning in Alexandria, Egypt', Proceedings of Efficient '11 - 6th IWA Specialist Conference on Efficient Use and Management of Water, Efficient '11 - 6th IWA Specialist Conference on Efficient Use and Management of Water. Water Demand Management: Challenges & Opportunities, International Water Association, Dead Sea, Jordon, pp. 1-8. Turner, A.J., Fyfe, J., Retamal, M.L., White, S. & Coates, A. 2009, 'The one to one water savings program unpacking residential high water usage', 5th IWA Specialist Conference on Efficient Use and Management of Urban Water, 'Efficient 2009': 5th IWA Specialist Conference on Efficient Use and Management of Urban Water, International Water Association (IWA) and Australian Water Association (AWA), Sydney, Australia, pp. 1-8. Retamal, M.L. & Turner, A.J. 2009, 'Unpacking the energy implications of distributed water infrastructure: how are rainwater systems performing? ', Proceedings of the 5th IWA Specialist Conference on Efficient Use and Management of Urban Water, 'Efficient 2009': 5th IWA Specialist Conference on Efficient Use and Management of Urban Water, International Water Association (IWA) and Australian Water Association (AWA), Sydney, Australia, pp. 1-9. Retamal, ML, Kazaglis, A, Fane, SA & Mitchell, CA 2008, 'From sustainable urban water to restorative developments: applying a holistic framework for water management when renewing our cities', World Water Week, Stockholm, Sweden. Retamal, ML, Kazaglis, A, Fane, SA & Mitchell, CA 2008, 'From sustainable urban water to restorative developments: applying a holistic framework for water management when renewing our cities (presentation)', World Water Week, Stockholm, Sweden. Retamal, M, Mukheibir, P, Schlunke, A & Prentice, E 2018, Work Package: Rainwater, Newcastle. Retamal, ML & Dominish, E Tearfund 2017, The Sharing Economy in Developing Countries, pp. 1-20, Sydney, Australia. Kuruppu, N, McGee, CM, Murta, J, Prendergast, J, Prior, JH, Prior, TD, Retamal, ML, Usher, J & Zeibots, ME 2011, Sustainability strategy for the North Ryde Station Precinct Project: Infrastructure and subdivision, prepared for Transport Construction Authority, by Institute for Sustainable Futures, UTS, Sydney, Australia. Retamal, M.L., Glassmire, J., Abeysuriya, K., Turner, A.J. & White, S. Institute for Sustainable Futures, UTS 2009, The water-energy nexus: investigation into the energy implications of household rainwater systems, Sydney, Australia. Retamal, M.L., McKibbin, J.L. & Fane, S.A. Institute for Sustainable Futures, UTS 2008, National greywater rainwater initiative: input into design of rebates for households and surf life saving clubs, pp. 1-60, Sydney. The Department of the Environment, Water, Heritage and the Arts (DEWHA) commissioned the Institute for Sustainable Futures (ISF) to undertake research into the likely costs of, and potential water yields that may be achieved by, household rainwater tanks and greywater reuse systems in households across Australia. This research is being carried out to inform the design of a new rebate program that will provide an incentive for households to install these systems. The primary objectives of this research are to: determine the categories and types of household greywater systems currently available; estimate the annual water yields that might be achieved by household rainwater tanks and greywater systems; identify average costs associated with each system; and provide recommendations for the structure of the residential rebate program. In addition to the residential component of this study, ISF has been contracted to examine the potential for water savings initiatives to be implemented at surf life saving clubs (SLSCs) with the aid of federal government grants. The objectives of this research are to: collect data on the water consumption of SLSCs; identify the types of water savings initiatives that could be implemented at SLSCs; estimate the potential potable water savings (from scheme supplies) that would be achieved by these water savings initiatives and the associated costs; and provide recommendations for criteria and conditions of the grant scheme for SLSCs.